Jardin du Luxembourg is the most used park in Paris and it’s a lovely place to wander through on a sunny day to sample Parisian life. The flower beds are stunning at the right time of year and there are plenty of other features to keep you interested too. One of the most striking works of art is a huge bronze head which was added in 2007 and is known as “Le Prophète”. He seems to be on guard watching the comings and goings in the garden. 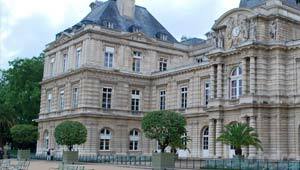 The attractive centrepiece palace in the garden is now the home of the French Senate. It’s easy to spend lots of time in this garden, mostly just sitting on the seats and soaking up the peaceful atmosphere. Other highlights are the Medici Fountain and the mini lake. The garden also has municipal park facilities like tennis courts too. It’s open daily from 7am to 1 hour before sunset in summer, and from 8am to 1 hour before sunset in winter. Admission is free. The nearest RER stop is Luxembourg and the nearest Metro stop is Odeon. An easy way to get to the Jardin du Luxembourg is to use the Paris Hop-on, Hop-off Bus Tour which stops nearby and gets good reviews from tourists who use it.